I love to host gatherings during the holidays. In fact, it’s one of my favorite things to do. Gearing up for a party, making lists of what I need, figuring out every last detail… and then executing! Yes – hosting a party for family and friends is rewarding for everyone involved. But, I’m not going to lie and pretend that it’s all a breeze. The bigger the party the more stressful it all can become. During this season, I throw several big bashes in a row – one party has over 100 guests! It’s a whopper and one that all my friends look forward to because it’s a great way to wrap up the season. During the next two months, I lean hard on BJ’s Wholesale for some of my absolute favorites. 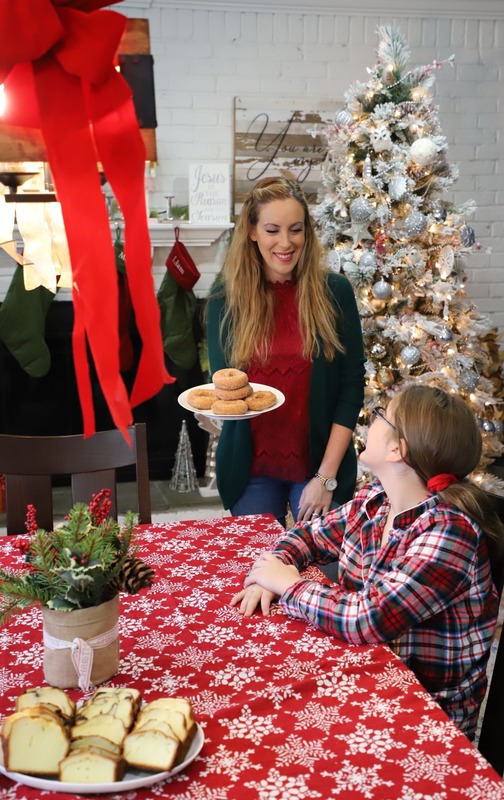 Their dessert options, hostess treats, and party supplies give me an advantage for sure! One of my favorite events to host is a holiday brunch. Friends do tend to bring dishes of their own and it ends up turning into a potluck which is always super fun. But, we love to start off the function with some of the basics and I can always find everything I need at BJ’s. BJ’s helps you take the stress out of holiday entertaining with everything from fresh food and appetizers to whiteware and décor. 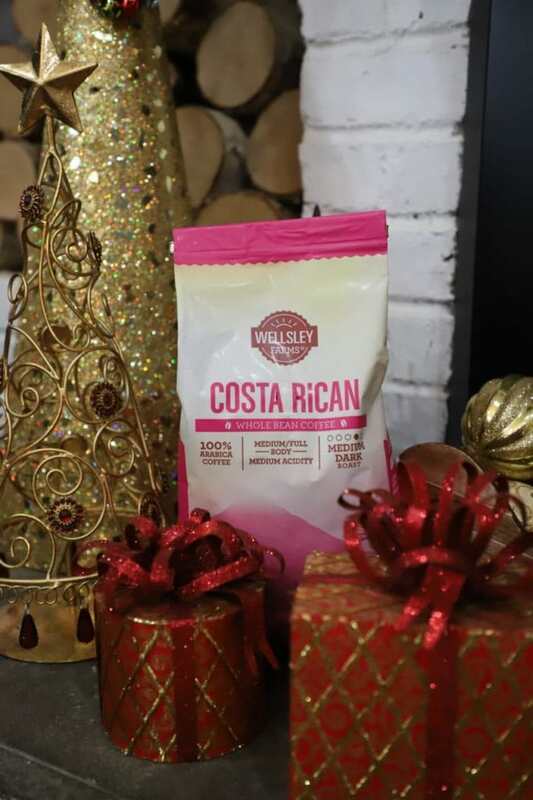 Wellsley Farms sets the bar when it comes to quality and taste – sourcing from the best growers, bakers, ranchers and fishermen from around the world and in your backyard. While I am someone who loves a great farmer’s market – sometimes I just can’t get to one. One quick trip to the bakery and I found apple cider donuts, a variety of marble cakes, and some bite-sized brownies for dessert. So GOOD. That’s just what I brought home, but there was so much more! Like danishes, croissants, cheesecakes and more! And you can’t have a party without coffee, right? Well, I made sure to grab a huge bag of Wellsley Farms’ whole beans because we are a family that likes to grind before we brew. Yes, I am married to a coffee enthusiast. No problem though! He does all the grinding – so I can’t complain. If you don’t like whole beans, not to worry because BJ’s has ground and pod options as well. I also like to grab a few gift sets while I am out shopping because you never know when you’ll receive a last minute invite to a weekend bash. 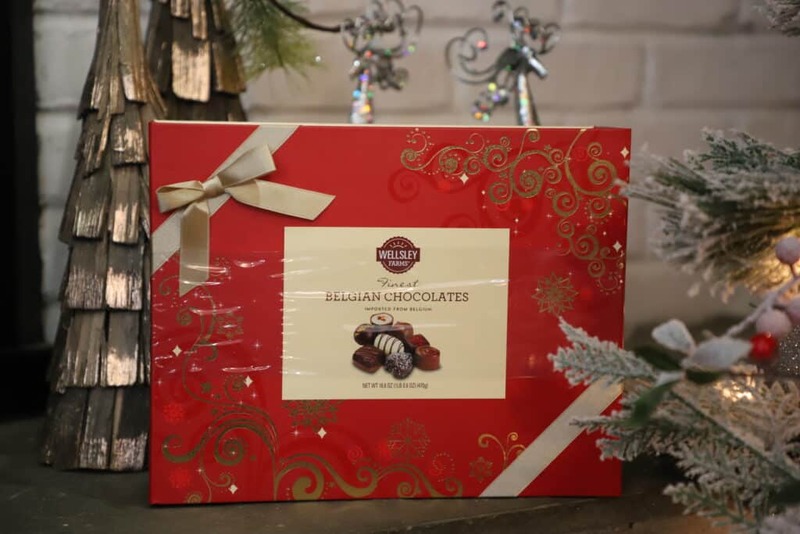 These Wellsley Farms Belgian Chocolates make the perfect hostess gift because not only are they already pre-packaged in a beautiful box, but they are ready to party as well. The hostess can open up this wonderful set at her gathering as soon as the desserts are placed out. 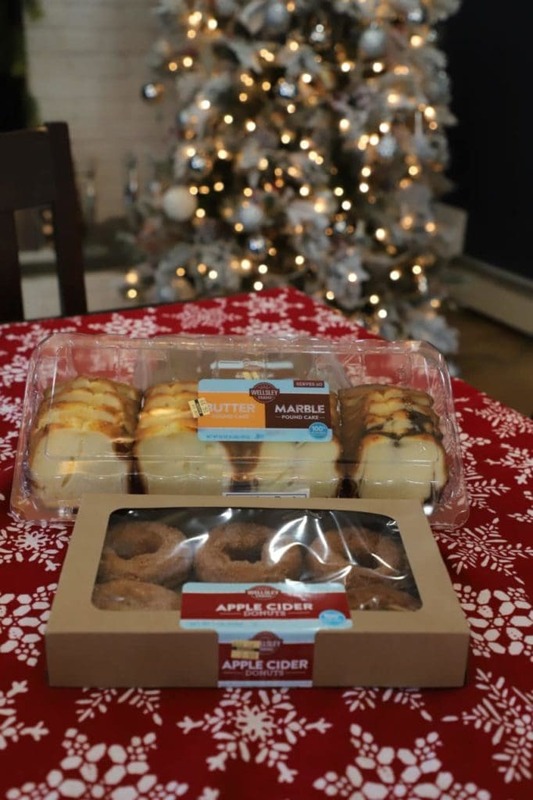 It’s like you brought a hostess gift and a dessert at once! Love it! And of COURSE, what is a party without paper goods? Nothing beats BJ’s Berkley Jensen paper goods line. I have been using this trio for at least a decade. Those dinner plates LOOK like china. They are thick as ever and my grandmother gets confused every Christmas Eve and New Year’s Day. She always asks me what she should do with her plate? Put it in the sink or the garbage? That’s the quality I’m talking about! We rewash them sometimes because they are THAT amazing! I don’t mind setting up the house, making a million appetizers, roasting a ROAST, and preparing for 30+ family members to come over. But when my sink is overflowing in the middle of it all, I get very overwhelmed. I do not use my china set anymore. That time has passed. These Berkley Jensen dishes are a part of my holidays just as much as any other Christmas tradition and that is NOT an understatement. I literally do NOT have people over without buying them. This is why I love BJ’s. 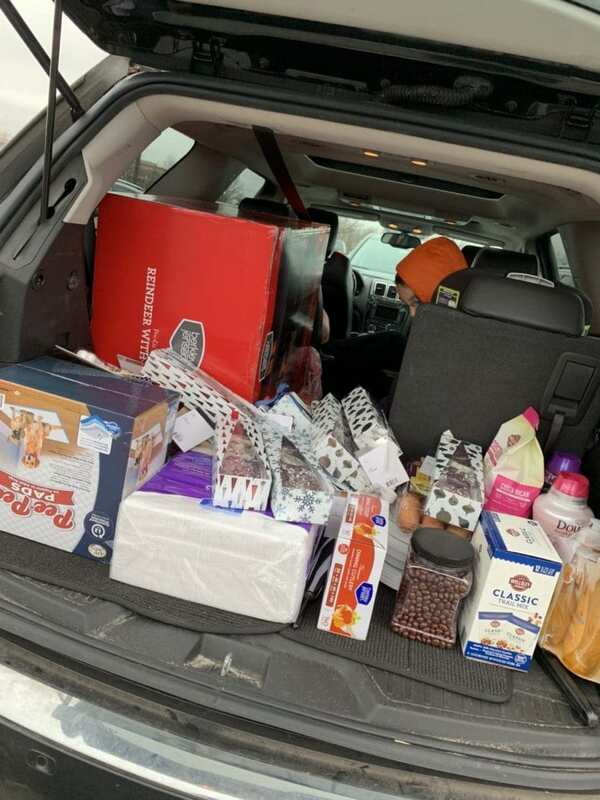 Because in one run, I got everything I needed for my holiday brunch, a week at school for the kids, supplies for the dogs, teacher’s gifts for the kids and everything in between. One stop shopping! BJ’s is so confident that members will love its exclusive Wellsley Farms and Berkley Jensen brands, that they’re backed with a 100% money back guarantee. Did you know that you can try any of BJ’s Wellsley Farms and Berkley Jensen products and return them for a full refund if you aren’t satisfied for any reason? What better reason to head on out there today! Members save 25% off grocery store prices every day. Are you a BJ’s member? Click here to sign up today! BJ’s offers outstanding value and convenience on holiday essentials such as fresh food, paper goods, décor, gifts and apparel in an easy one-stop shop. We spend so much time decorating our trees and our holiday mantles. Now, we can make up some time at the club! 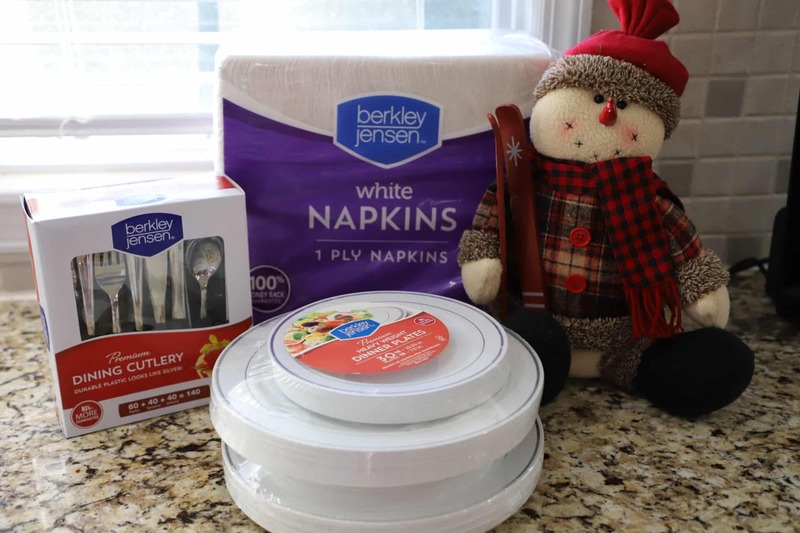 Members can get everything they need for holiday without sacrificing quality or flavor with BJ’s exclusive Berkley Jensen and Wellsley Farms brands. Invite your friends over and celebrate the holidays together… but put the party together in half the time. 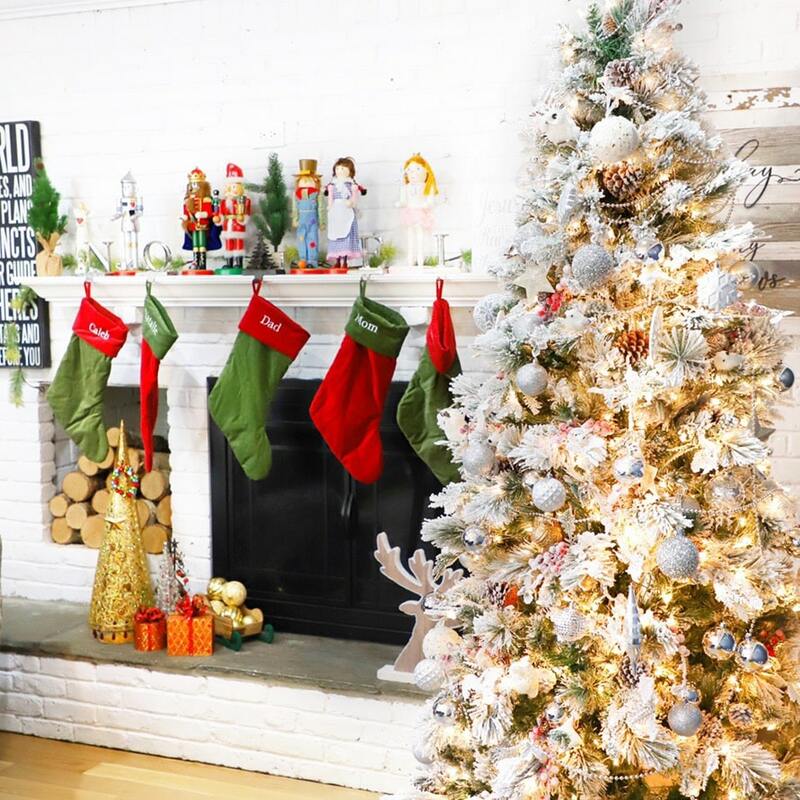 Do you host during the holidays? Any tricks you have up your sleeve? Would love to hear your tips!